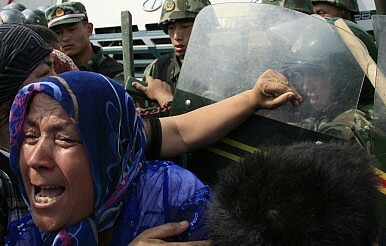 Crackdown or reform, Chinese leaders will be forced to take action soon if they hope to keep the peace. “China Executes 8 Convicted on Terrorism Charges,” the headline reads. It is a succinct, eye-grabbing statement that causes me to pause. As I finish the byline, I recognize an all-too familiar pattern in the Chinese justice system. Where the Uighur ethnic minority are concerned, excessive force and an opaque sense of impartiality are the rule. Official Chinese news sources read off charges linking the men to violent and dangerous separatist activities. The Tiananmen Square attack from the end of October in 2013 that left five dead and twenty-nine injured is laid at the feet of one of the men, an alleged mastermind, but the response by the state rings hollow and the reason is a complicated one. The Uighur separatism issue is far from solved, and the threat of domestic terrorism still looms large in Xinjiang. For Western observers, Chinese domestic security policy has never had the appearance of justice or finesse, due largely in part to restrictions on a free press in matters important to the Chinese Communist Party (CCP). Law and order are important to every state, but a functioning justice system must rely on transparency and citizens’ rights as much as the guarantee of punitive action against a society’s worst offenders. One need only review the complex and controversial history of the CCP’s claims to the Xinjiang and Tibet Autonomous Regions to recognize that the law and public good have been capriciously applied in the CCP’s recent past. This relative inconsistency in the use of force and treatment of citizens’ rights belies one of the central failings of Beijing’s policy regarding the violence of the Uighur separatist movement in Xinjiang: Overzealous use of force from a variety of official and unofficial agencies in the region only hinders the CCP leadership’s goal of a pacification. Despite this inconsistency, these events can give foreign analysts insight into what means the CCP is willing to take to maintain its rule – and how far it is willing to go. At the very least, they reveal how adaptable and responsive the central party apparatus is at dealing with such a nebulous security threat. The use of force in domestic police action within China is difficult to fully conceptualize for the Western observer, whose political systems are usually based on the idea of political costs and finite political capital. How does one assess political costs for an arcane single-party system with state-run and officially-sanctioned public news bureaus? There can be no doubt that there are internal power struggles: Competition over resources and policy preferences and priorities must surely exist within the closed doors of the CCP. Ascertaining how much compromise, bargaining, and public influence are weighed by policy elites remains difficult, however. This is why the Uighur separatism issue is becoming more important and warrants greater scrutiny from foreign policy and academic circles. It is a litmus test to see how far the CCP and its leaders are willing to go in resolving a perceived internal existential threat in either direction: citizen rights reform or increasingly draconian security measures. Uighurs are the plurality in the western Xinjiang Province, which covers roughly one sixth of China’s territory: 47 percent of the population, with Han Chinese accounting for 38 percent. This is significant when considering just how important Xinjiang may become to China. Being the largest region within China, and a considerable energy resource base (Xinjiang is home to the Tarim basin, one of China’s largest potential domestic energy development sites according to Sinopec and PetroChina estimations). This information can be readily found in the first paragraph of virtually every news story in Western media discussing the recent surge in violence and ethnic strife in the region. What these pieces fail to discuss further when acknowledging the approximately 300 dead Han Chinese and Uighurs are the changes in Chinese domestic security apparatus within their cities. They ignore the complex history of Xinjiang’s annexation in 1949, the policies of the Xinjiang Production and Construction Corps (a quasi-military body in charge of both peacekeeping and infrastructure development for the region empowered by the PLA), and the relative disparities in resource extraction to development and income the Uighurs face versus their Han Chinese counterparts in the region. China’s hold on Xinjiang has not always been as consistent as in the last six decades. The Uighur population has never been compliant with Han dominion, with a variety of uprisings and violent incidents since the annexation of Xinjiang in the 18th century. Moreover, during the 19th century, Uighur Chieftain Yakub Beg led a fierce uprising against the Qing dynasty rulers for twenty-two years, even gaining foreign support and trade from Tsarist Russia and the British Empire at the time. Additionally, the Uighurs established an independent state of Eastern Turkestan Republic in the 1930s, which lasted until Communist forces reoccupied the western province at the end of the Chinese Civil War in 1949. During the early years of communist rule, the establishment of the Xinjiang Production and Construction Corps led to a quasi-military body being in charge of the region’s security and economic development. Performing a hybrid role of economic planning, construction, infrastructure management, and militia, the XPCC, although technically a civilian bureaucracy, was instructed to remain armed at a time when China feared border incursions and an escalation of tensions with the Soviet Union. Although it was temporarily dissolved by Mao Zedong in 1975, it was reestablished by Deng Xiaopeng in 1981 and continues to be a powerful economic and kinetic security body in the region. Tellingly, Han Chinese largely fill the XPCC and exclude the local Uighur population from economic and security policy development. Complicating the reputation of communist rule in Xinjiang are controversial policies such as virtual slave labor (Kuomintang nationalist troops captured during the civil war and being sent to the west to civilize and transform the desert into arable farmland) and the relocation of the “Shanghai Girls” during the Cultural Revolution which, under the auspices of resettling urban Chinese to rural areas, is viewed by many historians as a means of pacifying the colonial Han by providing them with brides. Modern Uighur resistance to Han dominion over Xinjiang is peculiarly murky. It involves both legitimate appeals for human rights, and violent extremism and terrorism. The varying separatist political factions have received training and material support throughout Central Asia and from sympathetic extremist organizations, performing bombings, leading bloody riots that leave hundreds dead or injured, and assassinating local officials. These insurgency tactics complicate domestic security policy for Beijing, and of special consideration is the Uighur émigré population, of whom there are approximately one million worldwide, according to Chien-Peng Chung. Chung wrote in 2002 that “Beijing fears them nevertheless, because the mere possibility that they may cause disruption creates an impression of instability in Xinjiang and dampens foreign investment.” At the time, Xinjiang’s economic and civil infrastructure were considerably less developed. Twelve years later, with greater economic investment, energy resources, commodity production, and Han migration the Uighur separatist threat has even more potential to disrupt Beijing’s interests. Chung asserted that the impact on investment and development in the region of the physical threat would be of primary interest for the CCP in 2002, but economic growth (although of considerable value to the central party for maintaining its leadership mandate) is only half the equation. Beijing knows that a Han pogrom against the Uighur minority, even despite the continued terrorist threat, would have drastic consequences for the CCP both economically and politically. The other major threat to Beijing is the continued physical threat the Uighur separatists represent to territorial unity for China. Losing control of territory, especially territory as valuable as Xinjiang, is a particularly troublesome concept for the CCP leadership, and very likely an existential threat to the party’s leadership mandate. Consider the psychology that has undergird the CCP since the fall of the last imperial dynasty: fear of foreign aggression and dominance over China, dissolution of China as a single entity into separate states, and civil war. Henry Kissinger’s 2011 On China summarizes this psychology well in an eminently readable text, but a separatist group that is consistently able to secure training and material support from outside China and is able to consistently wage a violent opposition to Beijing is a very serious threat to the CCP’s image of absolute control, and its ability to provide the best leadership possible for its civilian population. Uighur separatists have been able to provoke radical domestic security measures from Beijing that apply to its own Han majority as well: long lines for security check points to ride the subway, armed paramilitary police patrols, and helicopters in the skies of Beijing are just the first of costly security measures that change the way the average Chinese citizen is affected by the separatist movement. Removing the insulation of the general Han populace from the fight in the remote western province has only further increased public scrutiny on the CCP’s domestic security policy. A popular Sina Weibo commentator blogged, “the terrorists have achieved their goals, in part. Increase the costs of law enforcement, reduce social efficiency, and raise public tensions.” A further complication comes from slowing GDP growth. A decline in annual economic growth of even a few percentage points is no small matter for the CCP leadership. Beijing has a vested interest in making sure its control is perceived as absolute (as well as competent) in order to maintain the party’s position at the head of Chinese society. On the subject of competence: Beijing’s draconian and paternalistic methods for dealing with the Uighur threat have been ineffective in curtailing the violence. Consider the more recent security policy decisions. Beijing has used a number of different tactics to quell disruption in the region at each instance of violence. The Chinese security forces have monitored and cut off Internet and communications infrastructure for the Uighur populace, instituted curfews, used “shock and awe” reprisal, enforced economic and political isolation, and even instituted public dress codes. What we see now is the nexus of Chinese security policy with the complications of its economic development policy. Throughout its history under communist rule Xinjiang has experienced dramatic and sudden economic and demographic changes. Chung wrote in 2002 that Beijing’s “war on terror” was ultimately fruitless because it was not addressing the systemic economic and political isolation that the Uighur minority faced in China. Furthermore, the lengths to which Beijing will go to subdue the Uighur separatists shows an inability to adapt to a complex ethnic divide in its own state. “China is distorting the real situation of the Uighur struggle,” Dilxat Rexit, a spokesman for the World Uyghur Congress in Germany, said. “This so-called charge of terrorism is a way for the government to avoid taking responsibility for the use of excessive force that causes so many casualties.” Rexit argues a point that we have heard before in reference to Beijing: a failure to address human and citizen rights issues, only avoidable in the past because the CCP was able to consistently make good on economic development and security promises (or because of the threat of violence). This trend exacerbates the party’s problems in the modern era as interconnectivity through social media and internet publications continues to make it harder for a regime to enact information control on a populace. The harder they squeeze, the more the rest of the world hears of it, and that comes with consequences. The pressure of developing a robust economy in the last four decades has often led the CCP to forsake regional politics in favor of a greater macro-end result. And while the results of this focus speak for themselves, lifting hundreds of millions out of poverty and dramatically changing the balance of economic power in the world, the CCP continues to alienate the party from the majority of its countrymen (the lower and middle classes) by failing to address citizen rights and quality of life issues. Uighur Separatists have engaged in terrorism and abhorrent violence, and those responsible should be prosecuted in accordance with accepted standards of justice. However, it can hardly be said that there is no legitimacy to the claims of economic and social inequality for the peaceful members of the Uighur populace within China. Denial of basic human rights, overzealous policing, and lack of access to the economic infrastructure of their homeland are a very real threat to their existence and way of life. In May this year President Xi Jinping paid lip service to the plight of the Uighurs in acknowledging efforts to increase bilingual education and job access, but absent from his assertions was any mention of the XPCC and other quasi-military structures employed by the Han migrants that continue to keep the Uighurs at barrel’s length. Stranger still is Xi’s push for “inter-ethnic fusion” by attempting to promote via cash incentive Han and minority marriages, a concept rooted in lofty goals of a melting pot society but ultimately seeking to dilute the ethnic identity of troublesome minorities in China. The speech and the solutions are tone deaf to the plight of the Uighurs, even going so far as to suggest dispersing the Uighur population into the rest of China in a “reverse migration.” There are few data to suggest that these measures are curtailing the separatist movement any more than their predecessors did. Why is the CCP consistently unable to resolve the threat of Uighur separatism and terrorism? There are no shortage of bright and dynamic leaders. Much is certainly written about ethnic divide and insurgency, with data to support it, and party control is no longer bolstered by ethnic chauvinism. It is obvious that part of Beijing’s policy for “integration” and maintenance of domestic peace and harmony between the minorities and Han within China should be a careful assessment and reform of discriminatory behavior by economic and political institutions, and yet those measures seem dangerous in the CCP’s eyes. Is the idea of reform linked with being perceived as weak on security issues for Beijing, or is it merely really a protracted campaign against extremists where even the slightest redress of grievances is seen as appeasement? The Uighur minority represents two threats to the CCP: the existential threat of losing regional continuity (and therefore jeopardizing the strength of communist rule), and the inability to adapt to reform in order to diminish internal security threats. Considering the CCP’s necessity to appear strong at all times, it foregoes the scalpel in favor of the sledgehammer, ignoring a minority population rather than seeking to give them a greater economic stake in the region. Despite the control the party exerts in all facets of the Chinese state, the CCP leadership is content to either tie its hands and face the violence of Uighur separatists with paramilitary force and “shock and awe tactics” or it is fundamentally incapable of seeking broader income redistribution, citizens’ rights, and social reform that would help to appease or at least mollify and control Uighur groups. It would serve foreign analysts and academic bodies well to delve further into this issue, and seek to establish precisely what variables are affecting the decision-making process for the party. The difficulty the CCP faces in its own “war on terror” is deciding the lengths China and its security agencies will go to maintain their legitimacy. Can Beijing adapt at such a crucial juncture in its development to a threat that cannot be addressed by mere kinetic security policy? A realpolitik option may come to pass: CCP leaders will decide they are willing to endure the continued violence of the Uighur separatists until they can simply overwhelm them via Han population density that they become virtual refugees in their home province, with increasingly harsh security infrastructure keeping the population in lockdown. However, such a course could ultimately be far more costly for the CCP than it realizes. Internet communications, sympathy for an oppressed minority, and the costs of increased security infrastructure makes life unbearable for average citizens and business interests throughout China. Or, perhaps most dramatically, the CCP will embrace real reform via Xinjiang and the treatment of the Uighur minority and usher in a new age of citizen rights and regulation for security bodies. If so, this would be a risky maneuver for Beijing, but perhaps the most logical. It could set a precedent that would ameliorate concerns in other polities around China, helping to cement itself as acting in the best interests of the Chinese people. It is clear, however, that even if these exact scenarios do not come to pass, the CCP leadership will be forced to take more dramatic measures soon if it hopes to pacify the region. These consequences, intentional or unintentional, will be significant in characterizing the internal function and estimating political costs within the CCP. Scott Devary holds a Master’s of Arts in International Relations and Diplomacy from Seton Hall University and a Bachelor’s of Arts in Political Science from the University of Washington. He studied Mandarin Chinese at Tsinghua University in Beijing, PRC and has been a contracted researcher at the U.S. Department of Energy’s Center for Global Security and Brookhaven National Laboratory. While fighting in Syria, the Turkestan Islamic Party has joined forces with global jihadist movements.